The Malaysians are hugely passionate about sport and it plays a big part in their culture. This makes it a brilliant destination for a school multisport tour. Whether you’re a hockey, netball, cricket, football or rugby team, there’ll be plenty of local opposition for you to take on. 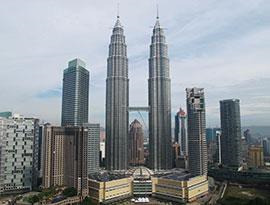 Your group will love discovering Malaysia through sport. This is a country of contrasts; from historic towns to high-rise urban metropolises and sandy beaches, Malaysia’s landscape is as diverse as its culture. When not taking on local opposition you will have the opportunity to visit traditional night markets and sample local street food. You’ll visit magnificent temples and spectacular mosques. And your students will return home with memories that will last a lifetime. Suitable for: hockey, netball, cricket, football and rugby. 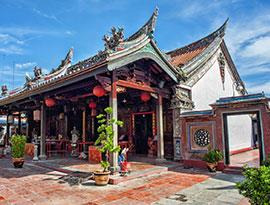 This elegant 5 * hotel is very centrally located, just a short walk from Malacca's shopping and entertainment districts.